When: Sunday 9 October 2016, 4.30 – 7 p.m.
Vincent O’Malley talks with Waikato-Tainui representatives Tom Roa and Rahui Papa about this landmark publication, which will be launched at the Waahi Poukai on 8 October. 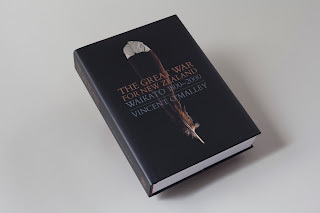 Spanning nearly two centuries from first contact through to settlement and apology, The Great War for New Zealand focuses on the human impact of the Waikato War, its origins and aftermath. The book arrives as the Government announces a national day of commemoration for the conflict and key sites are returned to iwi. A new book published last month as part of Manchester University Press’s Studies in Imperialism series explores the many connections between European monarchies and their overseas colonies. Crowns and Colonies: European Monarchies and Overseas Empires is edited by Robert Aldrich and Cindy McCreery and draws in many cases on papers presented at a conference on the same theme held at the University of Sydney in June 2014. I presented a paper at that conference on the historical relationship between the Kīngitanga and the British royal family and a revised version of this appears in Crowns and Colonies. The following synopsis sets out some of the key themes explored in my chapter. In June 1858 Potatau Te Wherowhero was installed as the first Māori King. Although the move was by no means a unanimous one even within his own Waikato tribe, European observers keenly debated the meaning of this act. Whether the Māori King movement (the Kīngitanga) was intended as a challenge to British sovereignty over New Zealand or was a more benign gesture became the question of the day. Yet supporters of the Kīngitanga saw nothing incompatible between allegiance to it and ongoing adherence to Queen Victoria (though colonial governments were a different matter). They declared themselves to be for ‘The Queen, the King and the Runanga’ (a kind of tribal assembly or council). As this chapter outlines, even after British imperial troops invaded the Waikato district in 1863 in an effort to destroy the movement and confiscate its supporters’ lands, the Kīngitanga tribes continued to place great faith in the Queen and her successors. For them, the relationship was a deeply spiritual bond, cemented through the Treaty of Waitangi in 1840 that had installed her as a great chief of New Zealand. Their deep and abiding conviction that the British monarch would bring justice to her Māori people if only she knew their true situation resulted in deputations to Britain from the late nineteenth century onwards, led by the Māori King, in an effort to have their grievances redressed. 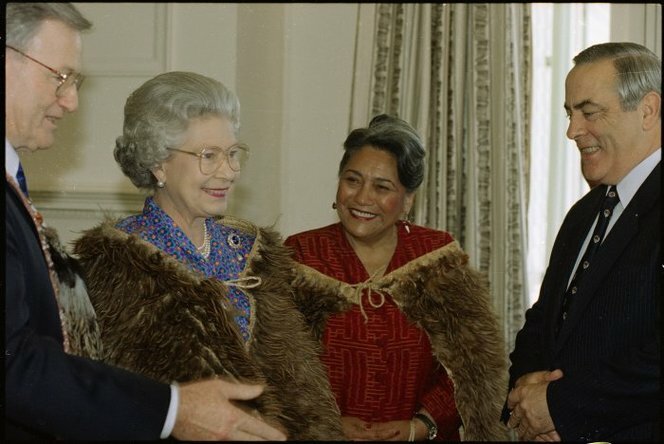 But in the twentieth century royal visitors to New Zealand found themselves caught up in intricate local politics over whether the (still not officially recognised) Māori monarch should be granted a meeting with his British counterpart. For Kīngitanga supporters, this mattered a great deal. Long after the British government had ceased to have any meaningful role in the governance of New Zealand, Kīngitanga leaders continued to look to the monarch to honour the undertakings entered into by Queen Victoria at Waitangi. 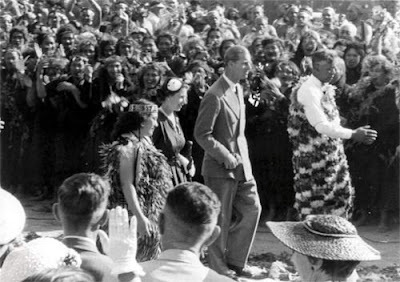 Although Kīngitanga dealings with colonial governors and officials are well known, there has previously been little specific consideration of these monarchical relationships and their significance.